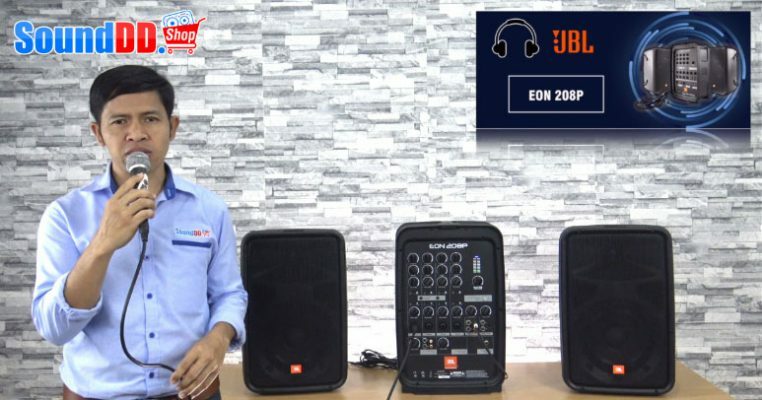 Get legendary sound quality with the EON208P all-in-one portable PA system, complete with an 8-channel mixer, Bluetooth audio and included AKG microphone. 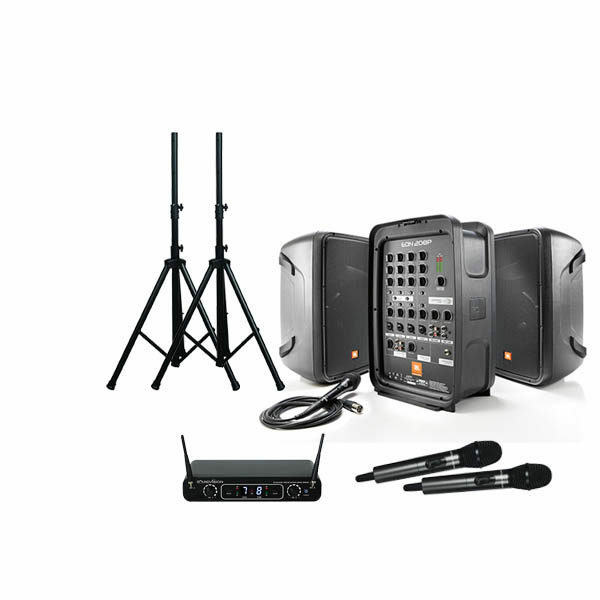 With a convenient suitcase-style design, the EON208P makes it easy to get great sound for performances, meetings and events. 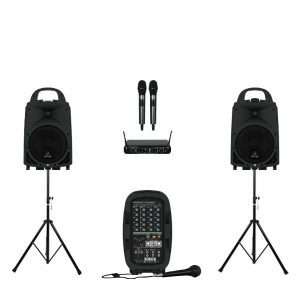 The 8-channel detachable mixer provides professional connections for mics, instruments and line-level sources, while the 8” two-way stereo speakers deliver best-in-class audience coverage. 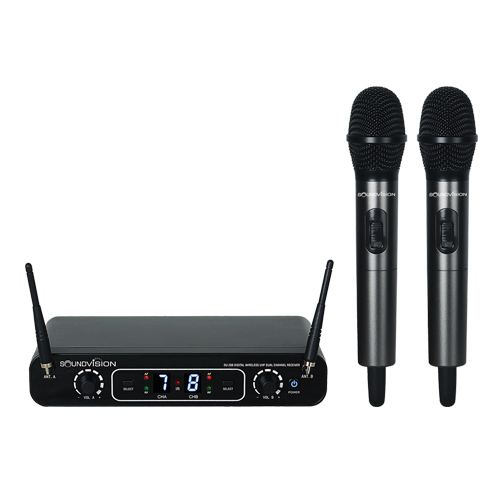 Bluetooth connectivity also allows you to stream audio from your mobile device. 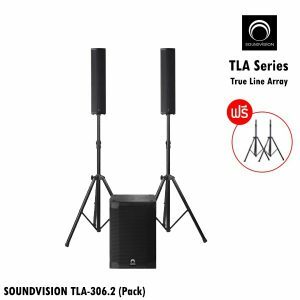 With 300 watts, you’ll have more than enough volume to be heard. 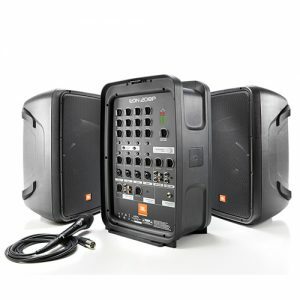 Plus, the compact and lightweight form factor means you can carry the entire system with one hand. 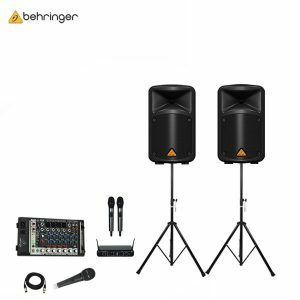 The 8-channel detachable mixer gives you the power and flexibility to sculpt your sound and be heard with stunning clarity at any venue. 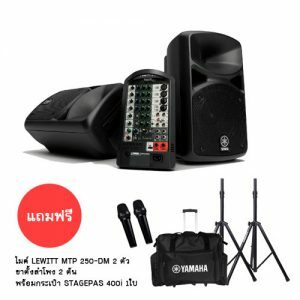 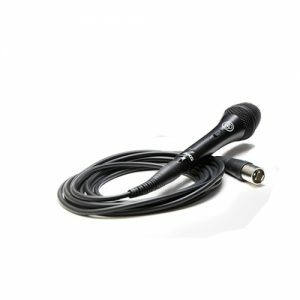 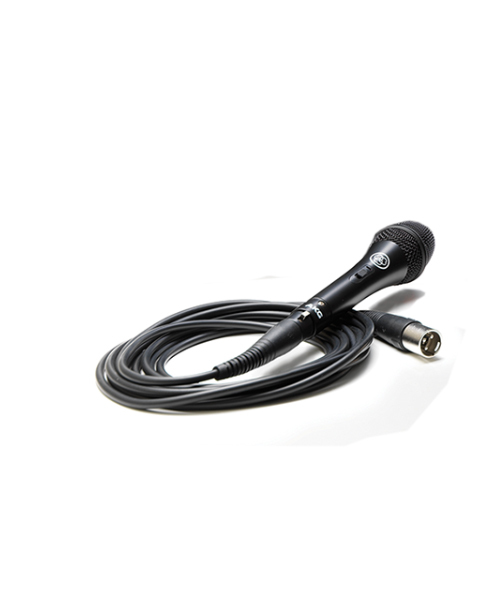 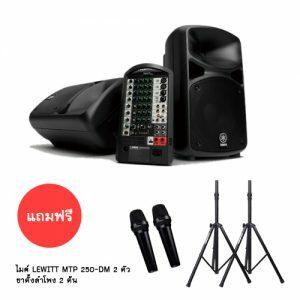 Simply connect your mics, instruments and other sound sources and start performing. 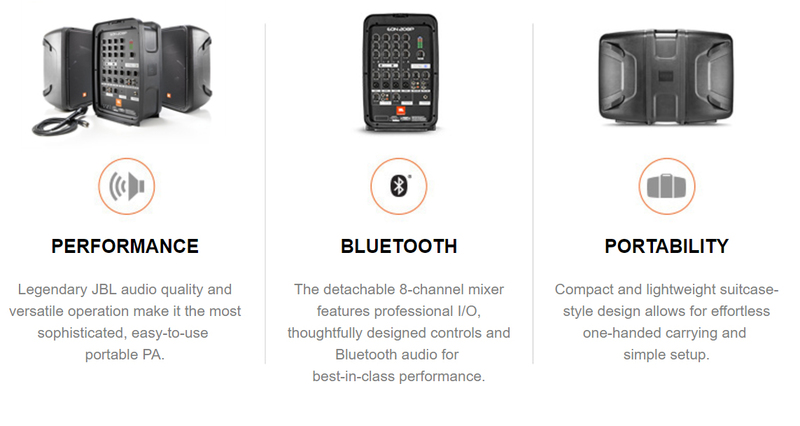 The intuitive mixer helps you dial-in great live sound quickly and easily. 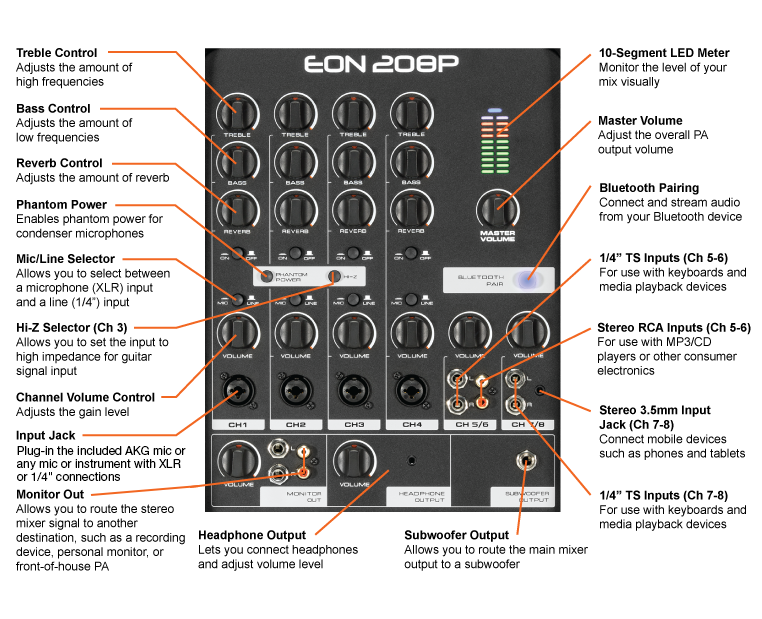 EON208P puts professional audio within arm’s reach—literally. 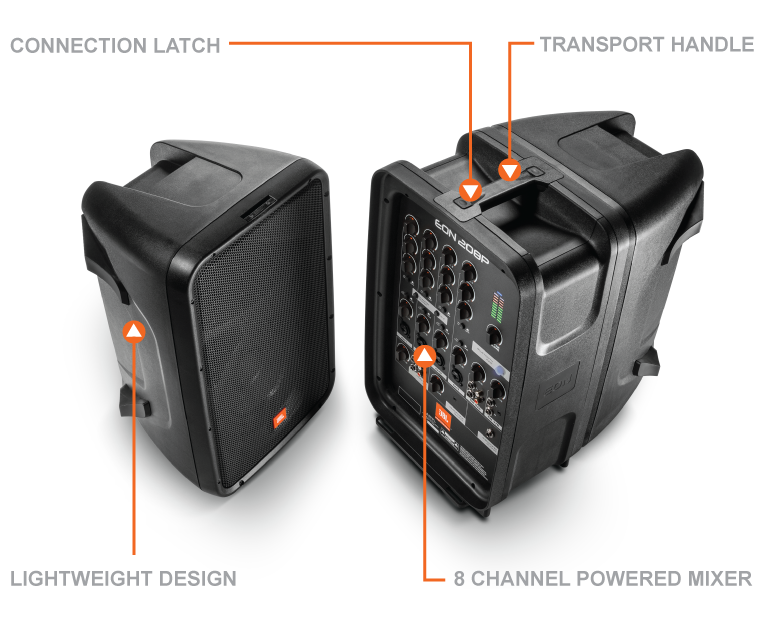 The twin 8” speakers and 8-channel mixer clip together to form the most comprehensive, lightweight and portable PA in its class. 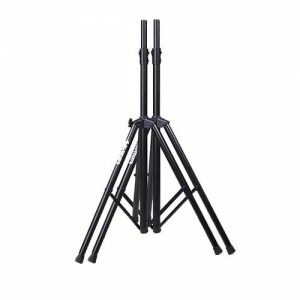 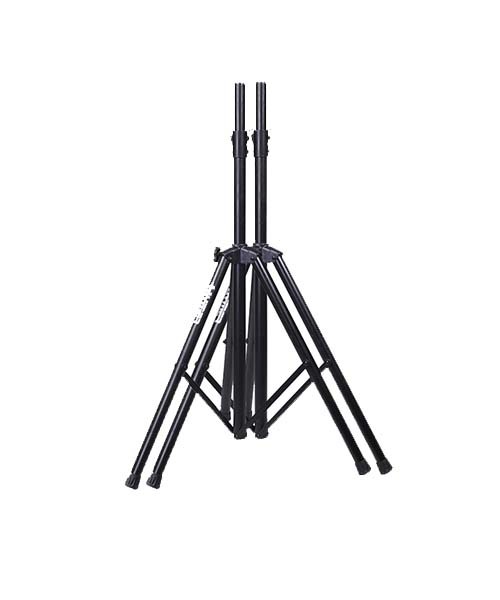 Carry it in one hand with a guitar slung over your shoulder to play coffee shops and medium-size gigs. 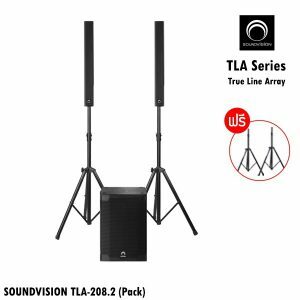 Or turn a backyard into the hottest nightclub around. 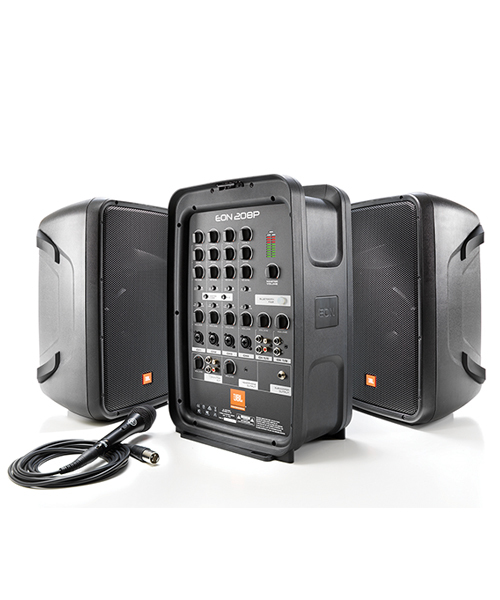 With uncompromising JBL sound quality and effortless portability, you’ll want to take it everywhere. 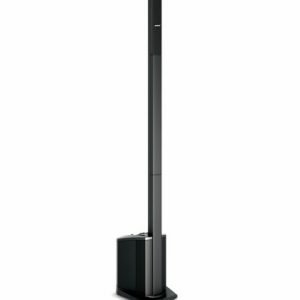 The versatile enclosures facilitate stacking, pole mounting and use in monitor position.